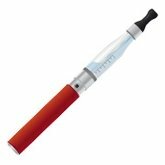 Electronic cigarettes (e- cig ) are portable and easy to use and recharge . Each electrñonico cigarette can be recharged with different scents to find the one you like best . Main components of electronic cigarettes: Battery: modleo can vary from one to another. Top batteries offer longer operating time and less time reloading. Atomizer: Some models allow bho atomized resins. The atomizer has a container ( in which we introduce our favorite liquid) that is responsible for feeding the vaporization quickly and easily with a single button. Nozzle. Accessories for Electronic Cigarettes All electronic cigarettes are customizable Elik the use of sprays and resins bho extractions . You can easily adapt larger battery for extended life of electronic cigarette. 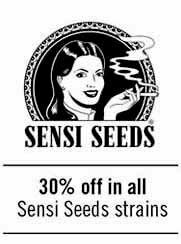 Sensi Seeds CBD E-liquid is specially made for e-cigarettes users, with a unique 99% CBD. Now e-cig users can take beneffit from one of the purest e-liquids in market, and get medical results thanks to its CBD (cannabidiol) concentration. 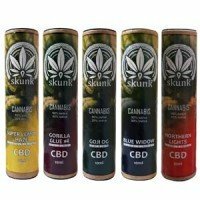 Skunk CBD e-liquids, are liquids with CBD and terpenes from cannabis strains, for e-cigarrettes. While CBD brings all the beneficial value of cannabidiol, natural terpenes added bring more satisfaction to users, thanks to the taste of some of the best cannabis strains in market. 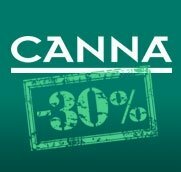 Skunk CBD e-liquids can be used to fill all electronic cigarrettes in market, don't contain THC, and its sale is totally legal. 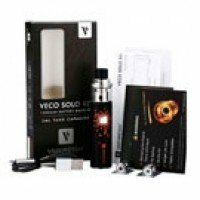 Veco Solo Kit is a top quality portable e-cig, with a really simple use. Veco Solo Kit includes a 1500 mAh battery and a 2ml tank for your eliquids, what gives it a long autonomy, and a superior vape experience. Veco Solo Kit vape uses the new Universal Ecological Resistances (UER) that allows users to substitute the coil without needing to change the metal shield. This coils give you the best vape experience, making the e-liquids taste as pure as possible. 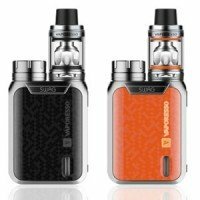 Vaporesso Swag Kit is a professional electronic cigarrette for those users looking for best vape quality, in a portable compact-sized vaper. The Swag Kit NRG SE Mini Tank includes a 2ml tank for your favourite e-liquids. SantYerbasi adds a Sony battery 18650 Vtc5 2600mAh to this kit (not included in the original kit) so you can enjoy your e-cig from the first moment.